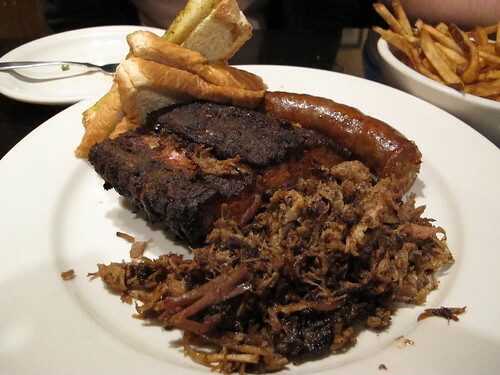 With my trips to Atlanta nearing a monthly consistency, one would think that I have cultivated a long list of eateries that I would like to visit. While that is true in some respects, where I choose to eat is usually the result of a group consensus, a coupon, or sheer convenience. It’s that last situation that led me, Jennifer, and Aaron to Wild Ginger. After a delightful Thanksgiving in Jackson, Jennifer and I were back in Atlanta and hoping to find something for dinner. Even though Atlanta has a metro population more than quadrupling that of Jackson, it’s still a bit of a challenge finding something decent to eat late on a Sunday night. In an effort to find something open and to further her collection of points, Jennifer turned to Open Table where she ran across a Thai restaurant named Wild Ginger. Located next to the 285 perimeter, it seemed like a viable option. 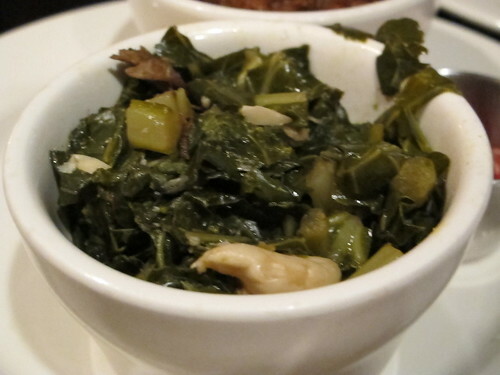 With only the opinion of Food Near Snellville to go on, the three of us descended on the visually unassuming Wild Ginger. 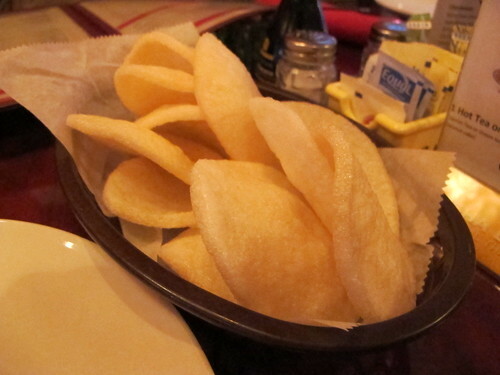 While we were deciding what to order, Wild Ginger provided a complimentary bowl of shrimp chips. I’m not sure why they did this because this basket was inhaled by the three of us. They took up valuable space that could have been later occupied by menu items. 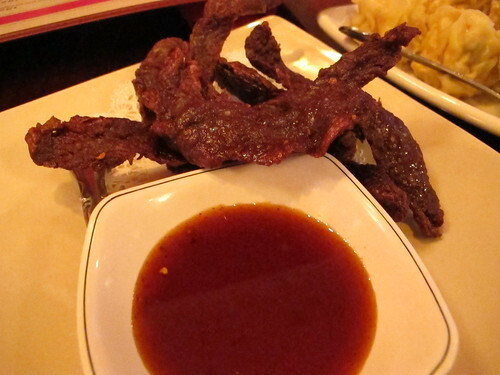 Soon enough, the appetizers began rolling in, starting with the Nuer Daad Daew or Thai Beef Jerky. The last time I saw this on a Thai menu was at Lotus of Siam in Las Vegas. 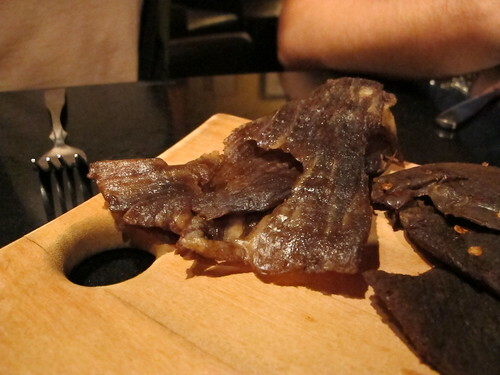 It’s everything I love about Thai food condensed into jerky form. 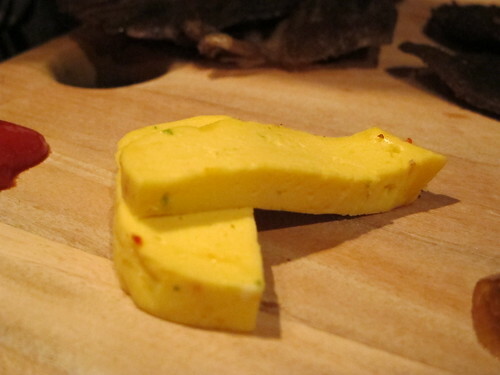 Each piece was dry, stringy and overloaded with ginger, garlic, and a fine helping of salt. 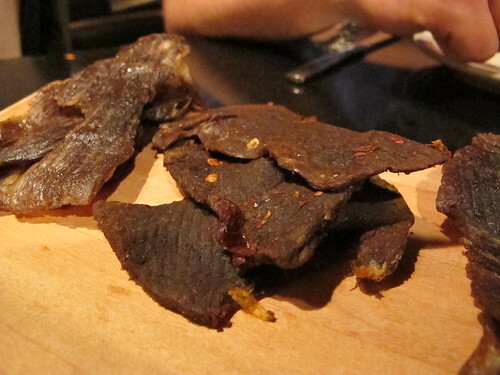 Combined with the moderately spicy hot sauce, this jerky was addictive. With multiple rolls on the menu, it should come as no surprise that we ordered a few different types. First was the Wild Ginger Thai Curry Roll. 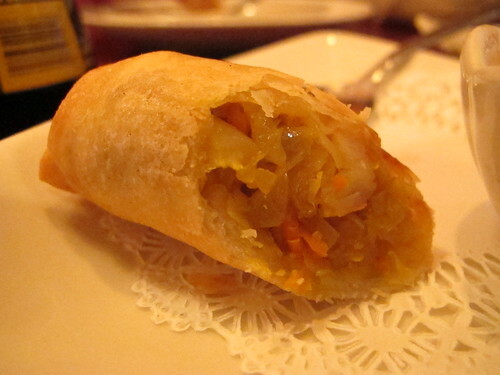 Surrounded by a crispy skin, the interior was full of cabbage and a pleasant curry flavor. The shrimp really took a back seat in this roll. 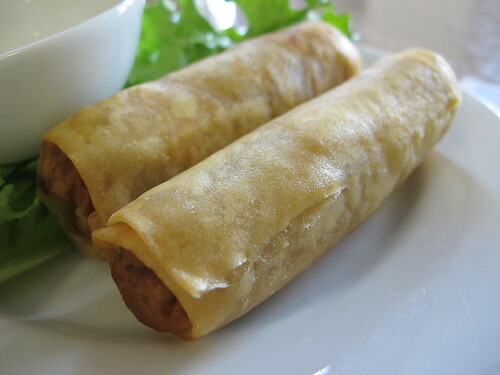 The classic Thai Spring Roll was the second of the pair. 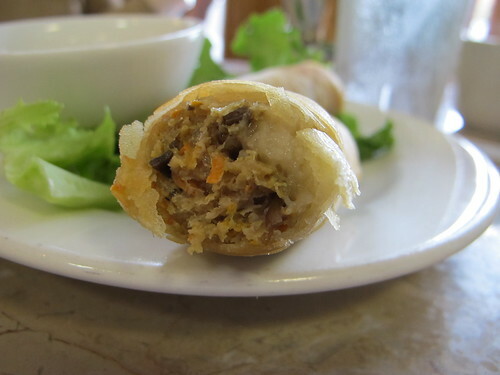 Filled with chicken, glass noodles, carrot, and celery, it was your classic spring roll. 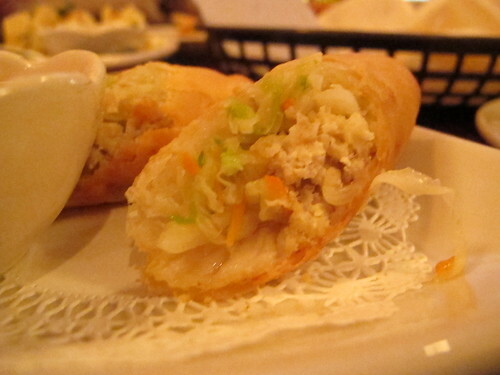 Unlike the shrimp in the Thai Curry Roll, the chicken actually have a major role in the taste of this spring roll. 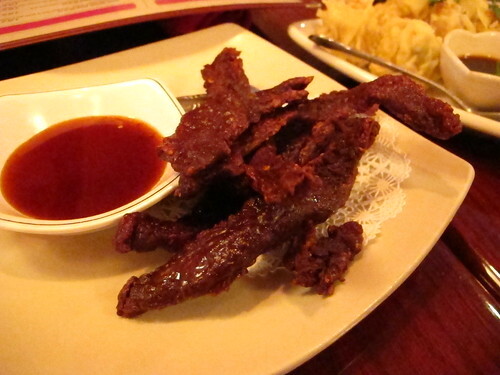 Our last appetizer was one I don’t normally associate with Thai menus. 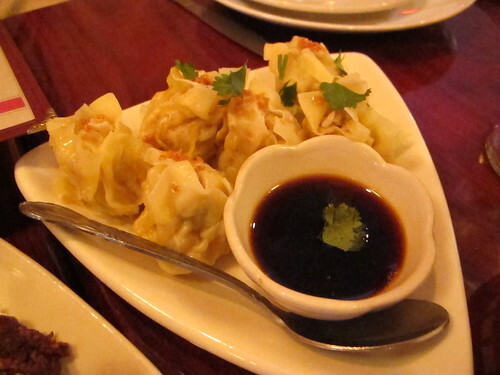 Pork and vegetable pot stickers, they’re always welcome, even in a Thai restaurant. 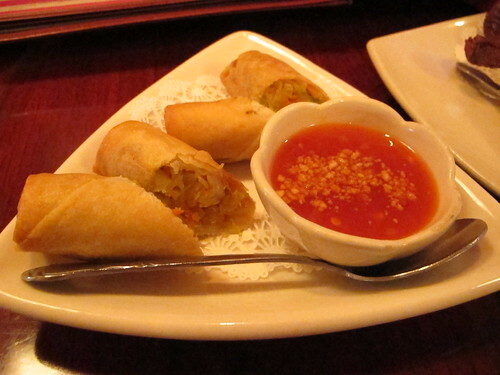 Filled with plenty of garlic and basil, these were a fitting end to the appetizers. 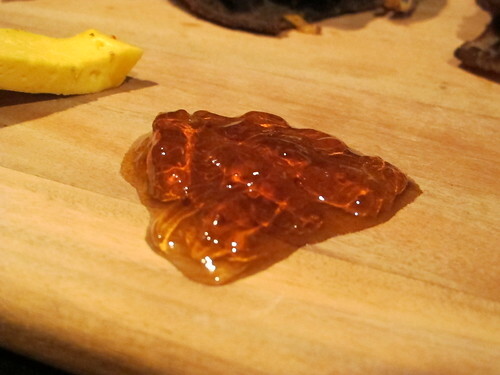 Recently I’ve become quite enamored with the Thai condiment of prik nam pla or nam prik pla, so I was curious to see how Wild Ginger made theirs. They certainly had the spiciness down to a science. 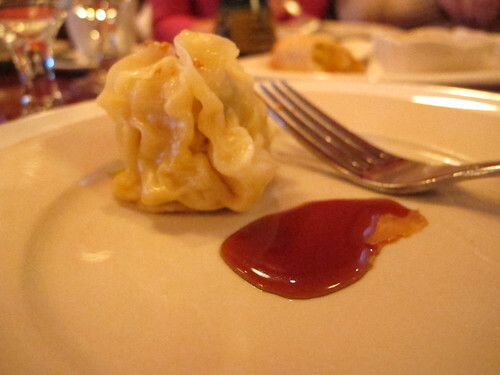 A little taste of this sauce was a mixture of spice, salinity, and just a subtle pungency from the fish sauce. 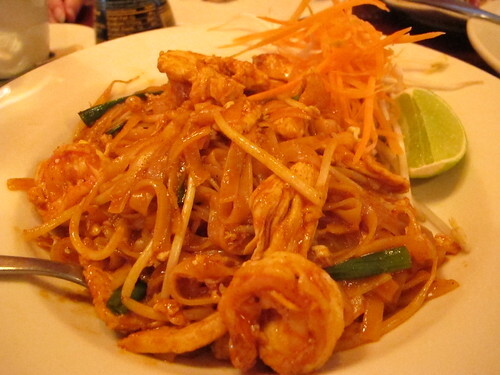 The first entrée to the table was Pad Thai. While I enjoy Pad Thai, it’s a particular favorite of Aaron and it was a good sign when this dish was up to his expectations. 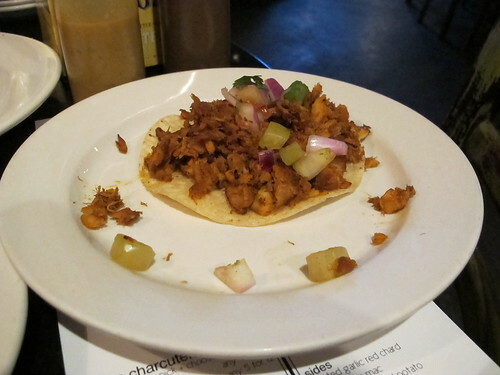 I was a fan of the tamarind flavor but disappointed in the components of the dish. The shrimp and chicken were nice, but where was the tofu, dried shrimp, or ground nuts? Pork Pad Prik Khing was our next entrée. 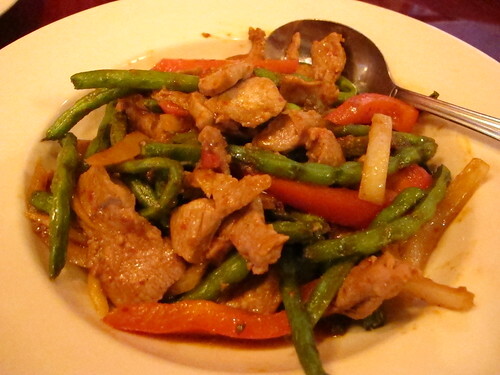 The long beans and peppers were a very nice feature of the dish. 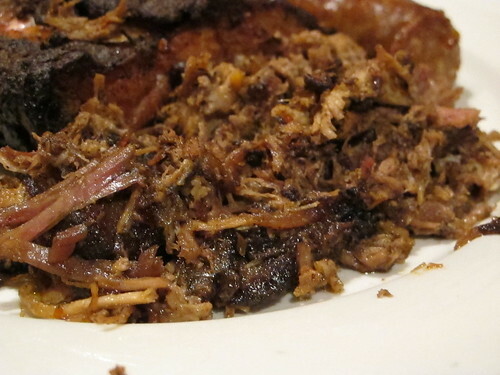 With plenty of pork, vegetables, and a very nice sauce, this was an all around pleasant dish. 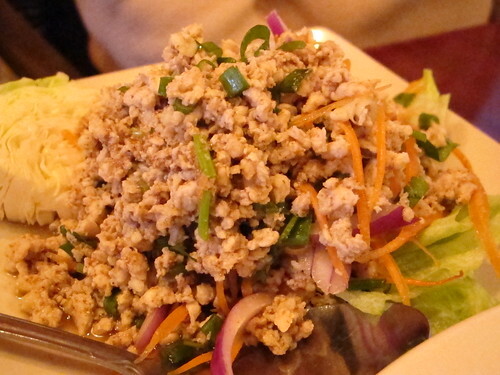 A consistent member of any Thai menu, an order of chicken Larb also made an appearance. This was everything you could want in an order of larb. Each bite was juicy, meaty, and a satisfying mixture of peppers, limes, and salt. 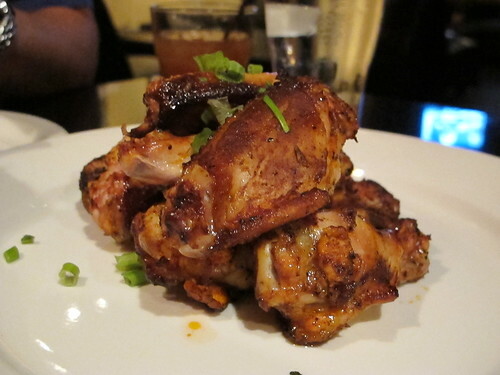 While I may not have been suffering the pains of 285 traffic like Food Near Snellville, I was equally as pleased with the food at Wild Ginger. The wait staff was friendly and helpful and their offerings were quite tasty. 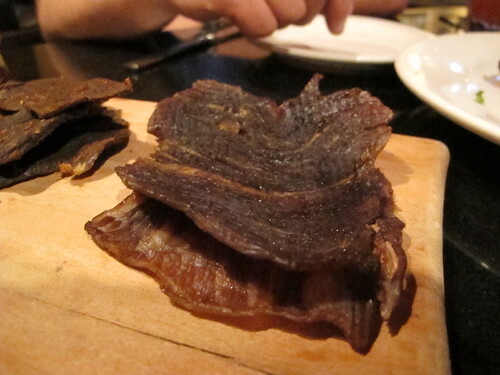 One thing I found refreshing about Wild Ginger was the originality of the menu. 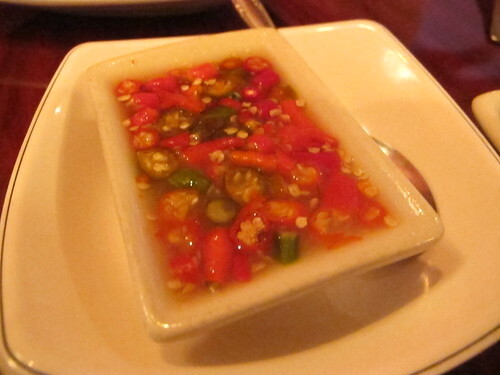 It seems like almost every Thai place in Atlanta shares the same menu; the same dishes, the same design, the same odd sushi portion, all just arranged slightly differently. That uniformity leaves Wild Ginger with a bit of an edge on the competition, at least in my book. Even without the differences in menus, Wild Ginger was an excellent choice for dinner and one I'll keep in mind next time I make a late arrival into Atlanta. There’s something entirely amusing about Rosebud. Maybe it’s that they serve a Monday night brunch menu. Maybe it is Rosebud’s chef Ron Eyester and his twitter handle @theangrychef. Whatever the source was, Jennifer and I were drawn to Rosebud for a quick lunch. 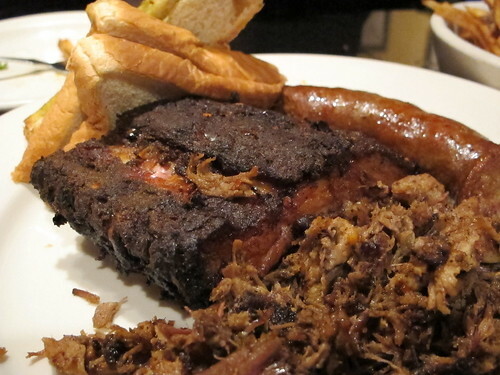 With a menu of American cuisine with a Southern twist and an emphasis on local products, it was hard to choose a starting point at Rosebud. In lieu of blindly throwing a dart at the menu, I convinced Jennifer it would be best to see the Rosebud interpretation of the Southern classic, pimento cheese. I’m not really sure what part of this dish is housemade, but I was slightly disappointed to not see any bacon in the pimento cheese. It seems Parlor Market has really spoiled me when it comes to the mayo and cheese combination. Apparently the saltines are housemade, but you could have fooled me. 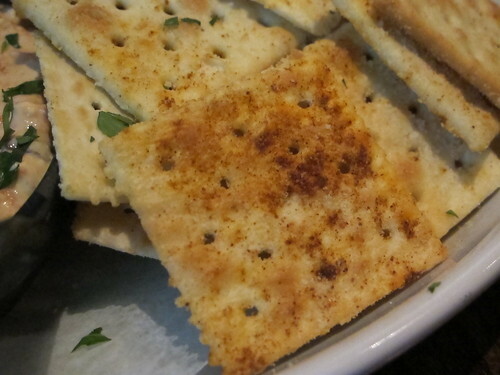 I thought they were just saltines topped with paprika and cayenne. 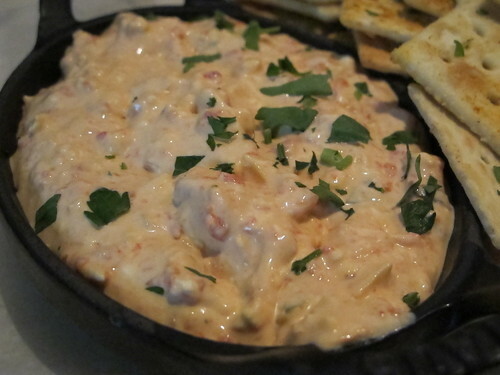 This was definitely a creamy pimento cheese. 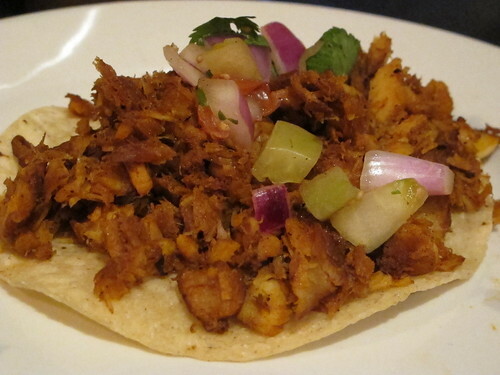 Each bite was easily spread on the crackers and overflowing with green and white onions. 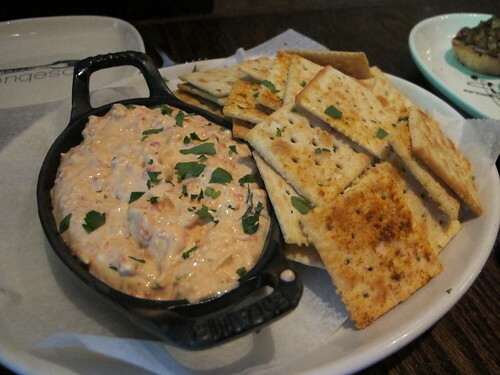 A nice touch was the spice of the crackers breaking up the cream richness of the pimento cheese. 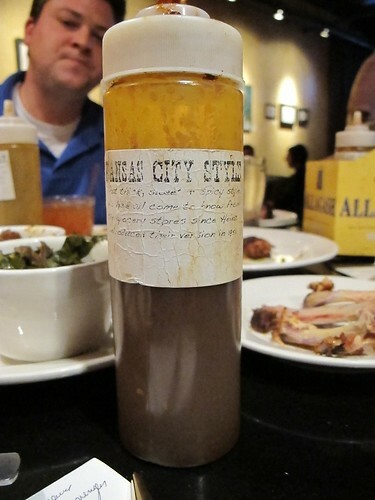 It really does seem like chicken livers, in some form or the other, are on damn near every menu in Atlanta, and that’s a good thing. 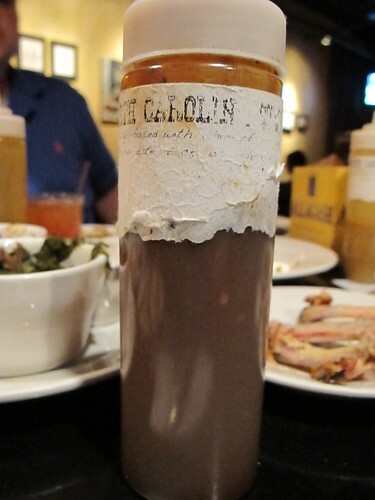 As often as I’ve had chicken livers be it in a mousse, mousseline, pate, fried, or any other preparation, I’ve rarely had a poor version in Atlanta. 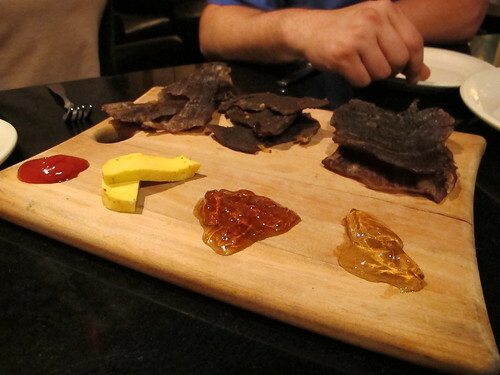 That’s why it was practically a given that I ordered the Chicken Liver Toast at Rosebud. There’s always a little trepidation when I see balsamic vinegar on a plate. 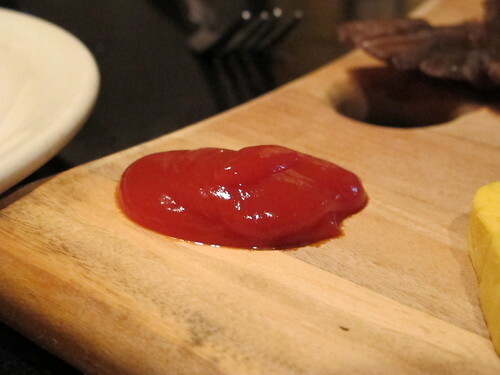 Much like blue cheese, restaurants seem to think that more is always better. 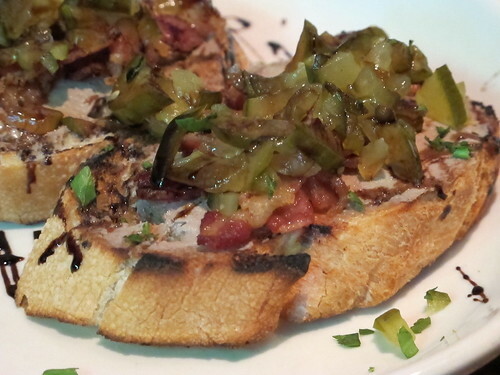 Served on top of large, toasted baguette slices, this was a smooth liver pate that was topped with relish and bacon. 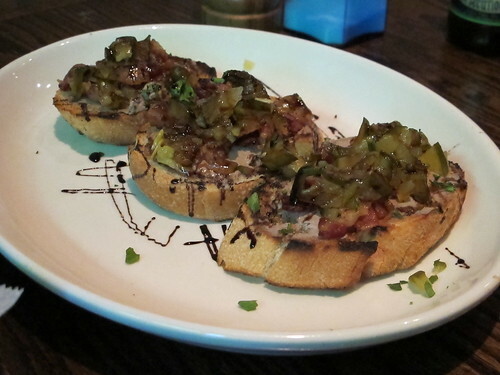 I was an immediate fan of Eyester’s chicken liver appetizer. 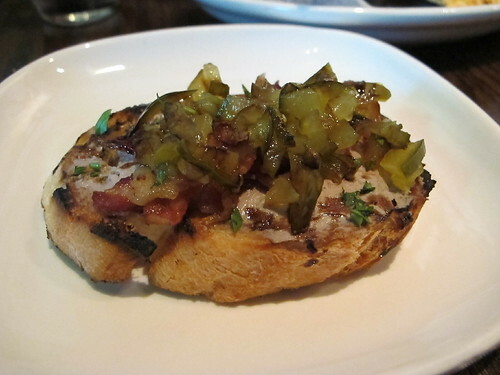 The bacon and pickle relish provided textural contrast to the liver and the balsamic was complimentary, not at all overpowering. 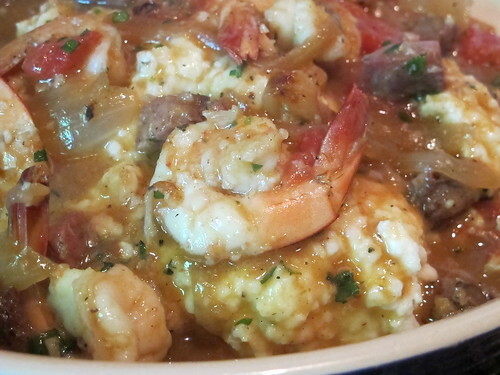 Though the idea of a kobe burger or buttermilk fried chicken was tantalizing, I decided to stick with an order of the Wild Georgia Shrimp & Grits. Even though I’ve read the comments of some people maligning grits, they work quite beautifully with shrimp and this example is no exception. With grits still a little al dente, and sweet, plump shrimp, this really was an excellent choice of entrée. 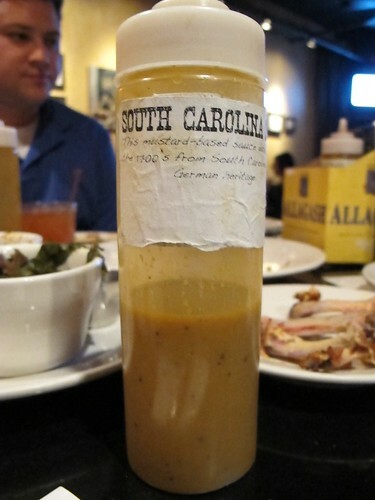 The sauce that was rife with tomatoes, onions, and big pieces of andouille, played an excellent foil to the combination of shrimp and grits. 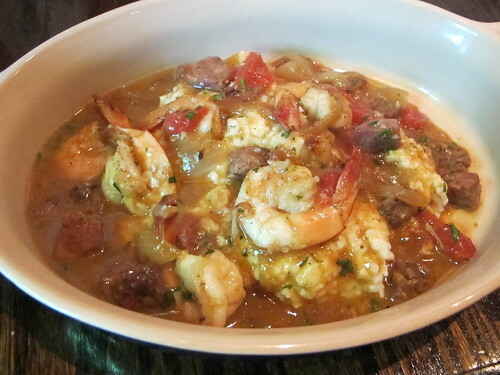 I do wish there was a little more smokiness to the andouille and a bit of cayenne kick to the grits, but it’s the difference between Georgia shrimp & grits and Louisiana shrimp & grits. 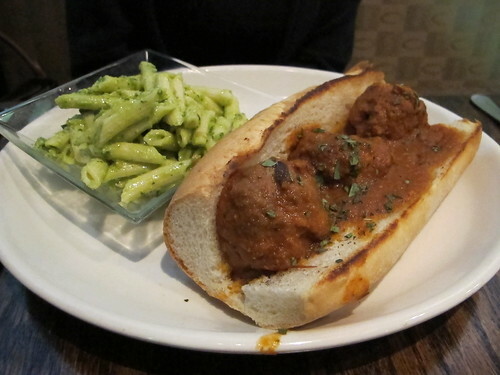 After stealing a meatball, I able to put a taste to the dish and was quite surprised at the herbaceous nature of the meatballs. Each bite seemed to be overflowing with parsley, thyme, and maybe a little mint. It was a nice dish, but a little too herby for this application. I kept wishing for this to be either served with tzatiki or made more like an Italian meatball sub. Let’s be frank, Rosebud is not the end all of Atlanta cuisine, but that was never its intention. From what I gathered, Rosebud is Eyester enjoying his craft. From the amusing twitter handle to the abundance of Grateful Dead accents, Rosebud has a certain joviality that’s refreshing. Even better, the food is quite good. 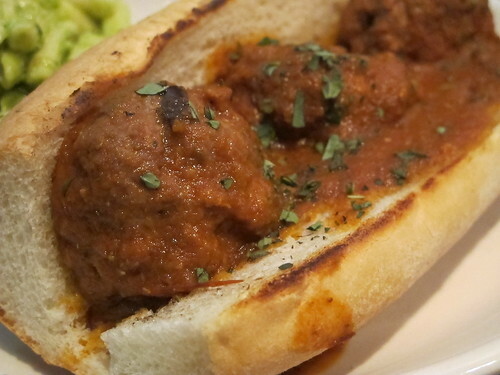 Yes, I may have been a bit underwhelmed by the Greek meatball, but every other dish leads me to believe there really isn’t a bad choice at Rosebud. I’d love to try their Monday brunch or at the very least, their Springer Mountain Fried Chicken. So while I may not be gushing over my lunch at Rosebud, I will happily pay it another visit. It’s been a long time since I’ve had a bowl of pho in Atlanta. I suppose it’s just a case of the sheer variety available on Buford Highway causing me to forget about a bowl of that magical broth. Well, in the days preceding Thanksgiving, Atlanta was in the midst of some nasty weather. 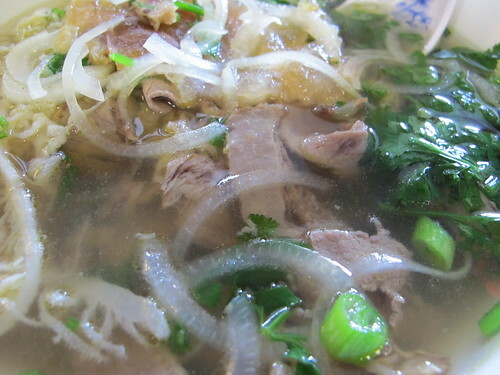 It was 40 degrees, rainy, and miserable; almost the perfect weather for a bowl of pho. Of course that leaves the question of where to go. Thankfully, the full time resident bloggers of Atlanta have done an admirable job canvassing the Buford Highway offerings, namely Blissful Glutton and Eat Buford Highway. Looking through their sites, they seem to conclude that Pho Dai Loi #2 is one of the best if not the best pho restaurant in Atlanta. With those recommendations, I settled on Pho Dai Loi #2 to ease the pains of late fall/ early winter. 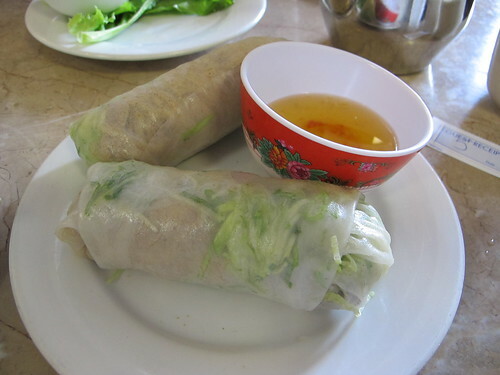 The funny thing is, I’ve been to Pho Dai Loi #2 before but not for pho. After some other meal on Buford Highway, I had an overwhelming desire for bubble tea. I have no idea why but I wanted a plastic cup full of overly sweet fruit slushie and the potential choking hazard of tapioca pearls, but I felt the need. Even with the deadly potential, Dai Loi #2 made a damn fine bubble tea. 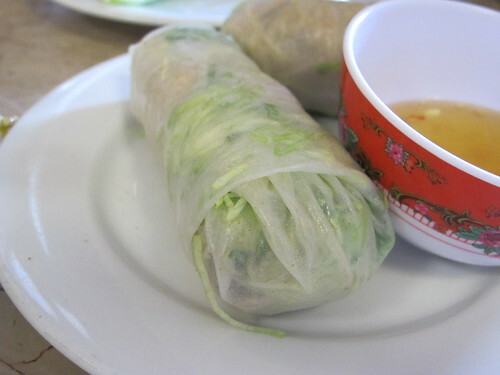 Of course, the real question at a Vietnamese restaurant is where to start? Even though I love the combination of cha gio and pho, it’s a rare occasion to receive the cha gio before the soup. 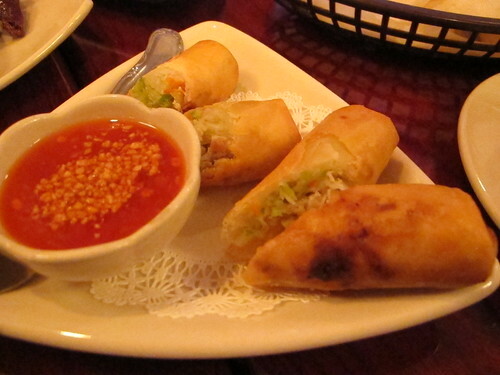 Even so, Jennifer and I agreed that we should give the eggrolls at Pho Dai Loi #2 a try. They certainly look bigger than the ones I’m used to at Saigon. Things look good from the outside. 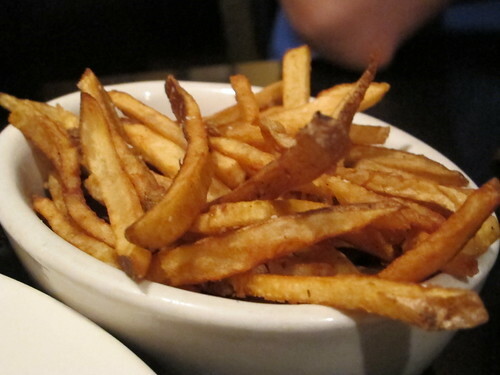 The wrapper is fresh from the fryer, crispy, and not at all greasy. I wasn’t prepared for just how dense the cha gio are at Pho Dai Loi. 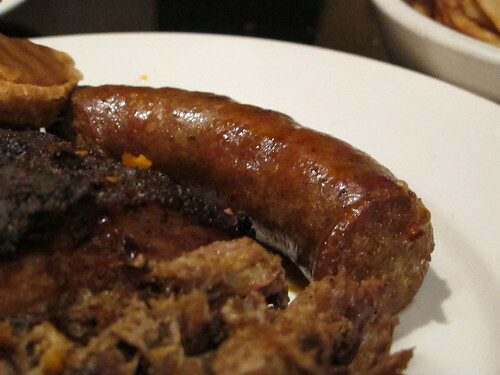 There’s a huge amount of meat filling and it’s rife with carrots, black mushrooms, and a nice helping of black pepper. Good on its own and even better with the side of nuoc cham, this is some of the best Cha Goi that I’ve had in ages. As is often the case, Jennifer and I have the tendency to over order. At least that’s how I justify a second appetizer. 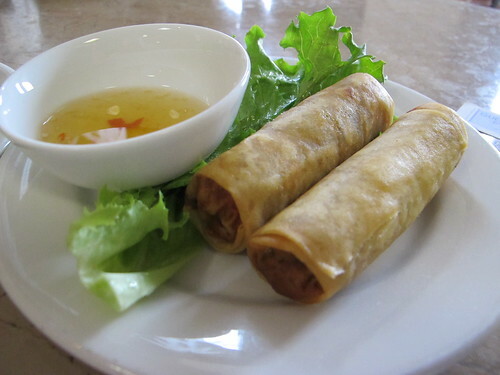 Bi Cuon or steamed shredded pork rolls came out looking much different than I expected. 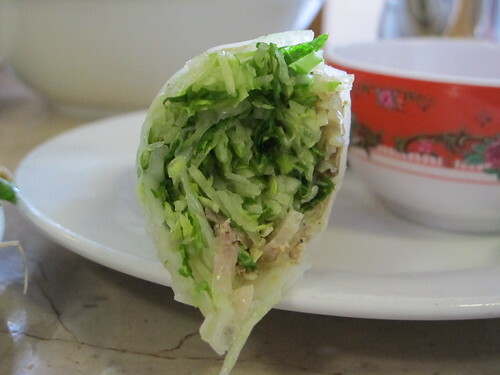 Like the Cha Gio, the Bi Cuon is stuffed to the gills but with a lot more greenery. Despite the appearance of a salad wrap, this was a very tasty roll. Bursting with greens and black pepper, the pork might have taken a back seat but it was still delicious with the nuoc cham. 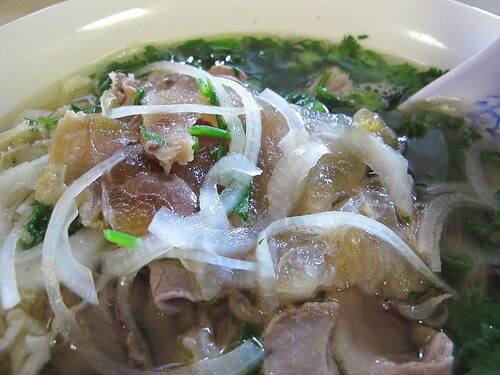 Before I could completely gorge myself on Cha Gio and Bi Cuon, my medium sized bowl of Pho Dac Biet arrived. Topped with plenty of onions and cilantro, I couldn’t help but wonder how much bigger the large was. Thankfully this bowl of Pho Dac Biet had a proper foundation as the broth was rich with the full flavor of beef and a cilantro background. 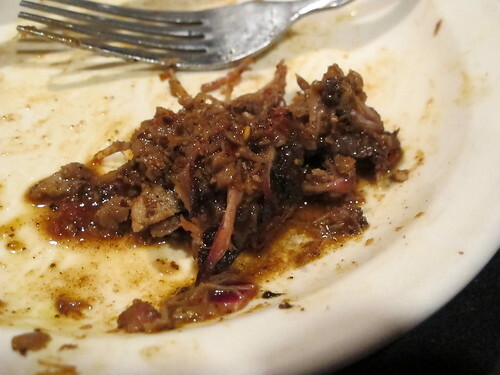 With tender, thinly sliced brisket, flank, eye round, soft tendon, and whatever bible tripe was, this bowl was certainly full of meat. Like the broth, each piece of meat arrived with a cilantro accent. It wasn’t unpleasant, just apparent. 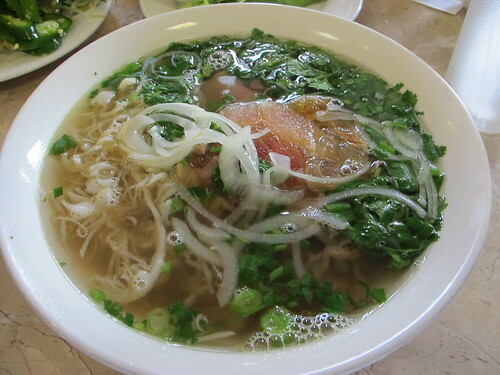 After dressing to taste with sriracha, hoisin, and fish sauce, I was enamored with this bowl of Pho. 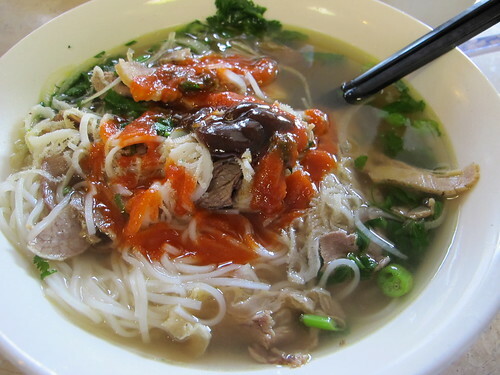 While I was going through the loud motions of eating my bowl of pho, Jennifer had gone a slightly different route and chosen a Bun, Bun Ga Nuong to be exact. Fortunately, I was able to steal a bite or two of this bowl and I became a little jealous. 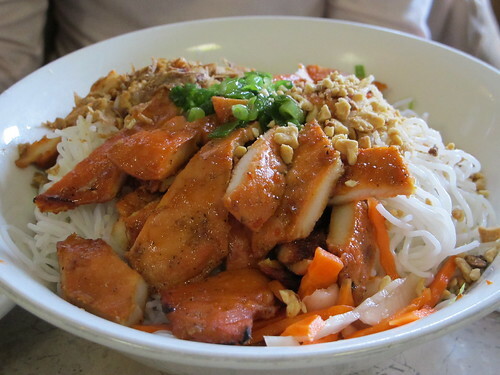 As much as I enjoyed my pho, the lemon grass chicken in this bun was excellent. 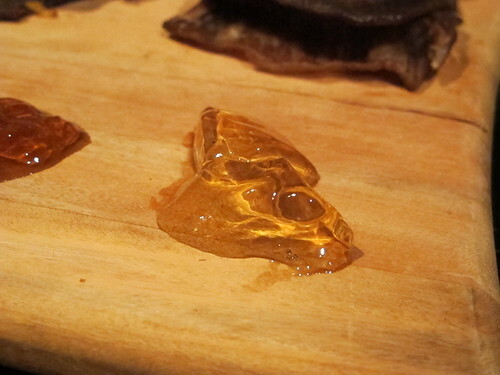 Even with our own dishes of pho and bun, we decided that an order of com was needed as well. I have no idea why, but the Com Chien Bo Luc Lac seemed like an excellent idea for an unwarranted third dish. 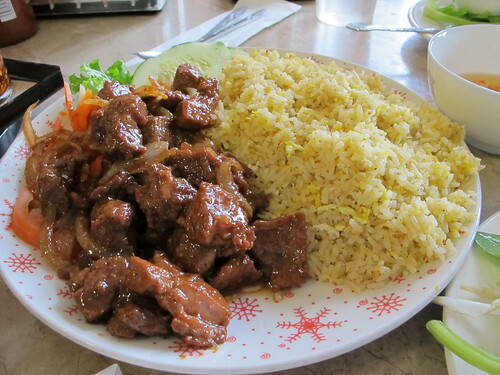 Described as Vietnamese style fried rice with marinated beef chunks, it was a meal unto itself. The fried rice was very simple, looking like little more than pepper, eggs, and rice. 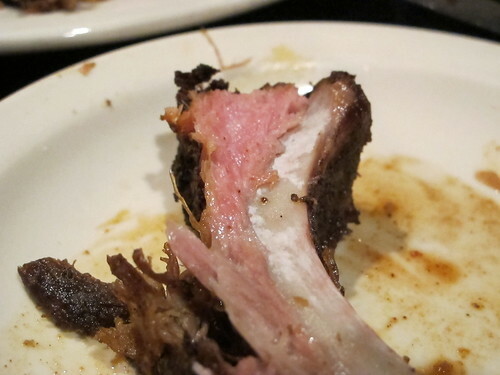 There wasn’t any need for embellishment as the beef was clearly the star of the plate. 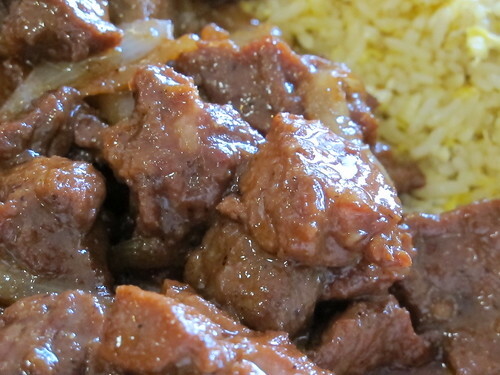 Served with plenty of onions, this beef was melt in your mouth tender. 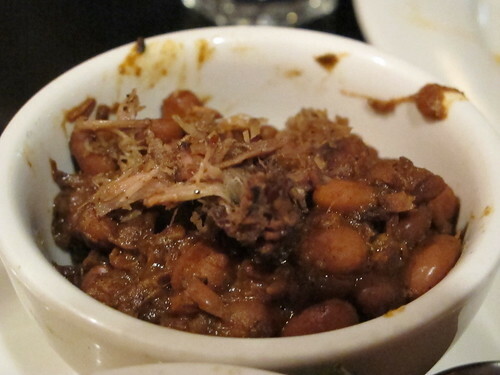 Studded with sweetness and plenty of black pepper, this was an excellent dish. Sadly, most of it was resigned to a takeout box for a later date. There was simply no room for this stellar beef. Through all the dishes, the Cha Gio, the Bi Cuon, the pho, the bun, and the com, I still felt the need to order bubble tea. Unfortunately, Pho Dai Loi #2 was out of my first choice, papaya. 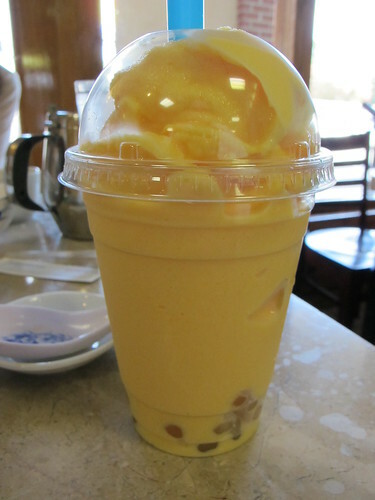 So with some resignation, I went with a mango bubble tea. This was a thick bubble tea and almost too sweet to drink. It actually reminded me of a mango cream smoothie, but it was still quite the delicious way to end the meal. After a meal of complete excess at Pho Dai Loi #2, I have to join Blissful Glutton and Eat Buford Highway in singing its praises. I’m just beginning to scratch the surface of pho joints on Buford Highway and Atlanta in general, but after eating at Pho Dai Loi #2, I think I have a new gold standard. I can only hope that I don’t fall into the same trap as EBH where every time I try a new pho, it pales in comparison to Pho Dai Loi # 2. Oh well, that’s a risk I’m willing to take.